Spring is just around the corner and I could not wait to go out and check out the Roswell Townhome Community of Harlow. Below are some photos that I took February 2017. This neighborhood will be huge and has an East side and a West side. It appears they are developing the West side a little quicker than the East side, at time of post. 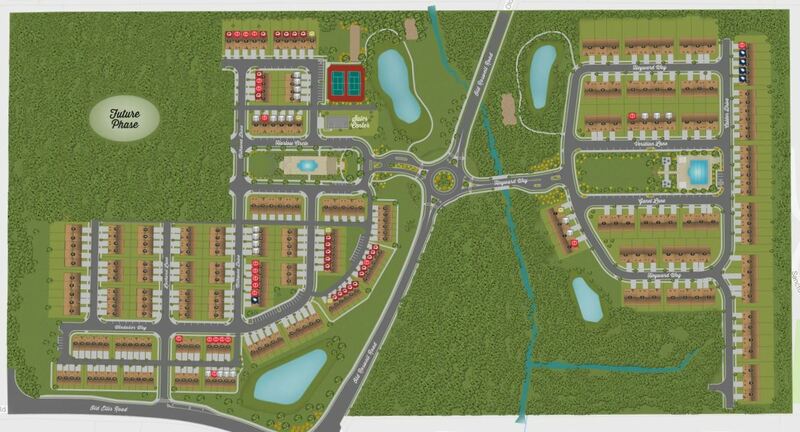 Located on either side of a round-a-bout, this community will certainly take some time to complete. See neighborhood site plan below as well. Enjoy! At time of post there are several enclaves, all with distinct names.